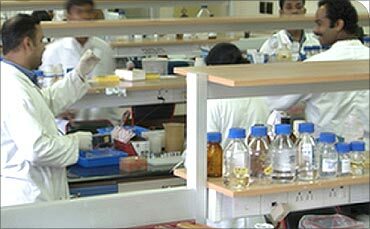 The National Pharmaceutical Pricing Authority (NPPA) on Thursday said it has increased prices of 62 drugs, which are mainly based on indigenously manufactured insulin, giving a filip to domestic firms. The drug price regulator has also reduced prices of 14 drugs, while that of 21 drugs remained unchanged in its latest review meeting held last week. The majority of the drugs, whose prices have been increased are used in treatment of diabetes and tuberclosis. "We have to do a balancing act and provide a level playing field to the indigenous manufacturers who account for nearly 10 per cent of the total domestic market for insulin," NPPA Chairman S M Jharwal told PTI. Image: 62 drugs to be costlier. He, however, asserted that despite the price increase, the drugs from these firms would still remain affordable. "Although the prices of the indigenously manufactured insulin-based formulations has been increased in range of 5- 18 per cent, they would still be lower by nearly 15 per cent than the formulations based on the imported bulk insulin drug," Jharwal said. 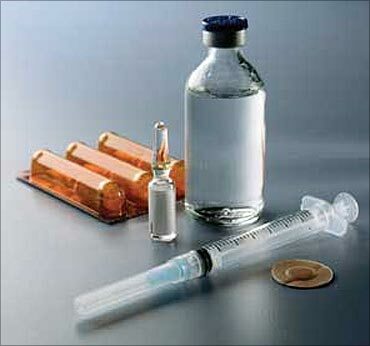 At present, Biocon and Wockhardt are the only two domestic companies which manufacture insulin bulk drug indigenously. 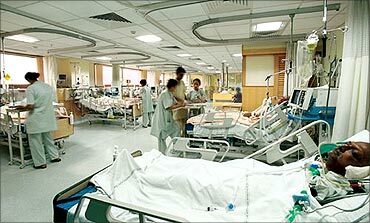 The NPPA's review meeting, which considered prices for 19 drugs for the first time, reviewed prices of drugs used in treatment of diabetes, allergy, malaria, diahoerra, asthma and hyper tension along with antiseptics. Justifying the increase in prices, NPPA said raw material cost and revision in the norms of conversion cost, packing charges and packaging materials as notified on December 16, 2010 necessitated the move. 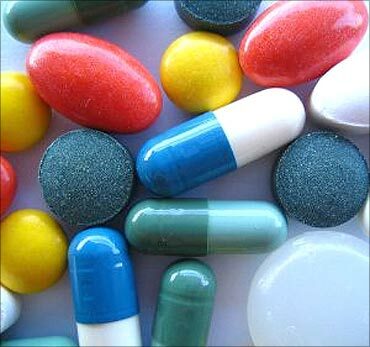 The companies which would be affected by the price revision of drugs include Eli Lilly, Pfizer, Novartis, Sanofi Aventis, GSK, Biocon, Wockhardt, Lupin and Cipla, the NPPA said. The NPPA also revised prices four bulk drugs, following which diuretic spironolactone and salbutamol sulphate will be cheaper by 2.5 per cent and 18.87 per cent respectively. On the other hand bulk drug pyrantel pamoate (used in formulations of deworming medicines) and anti-allergic pheniramine maleate will be costlier by 8.12 per cent and 13.87 per cent respectively. 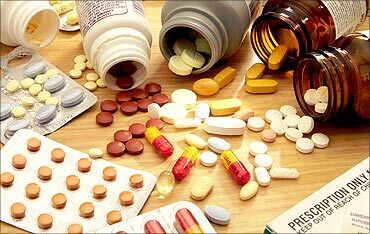 The reduction in prices of formulation drugs has been in the range of 2.47 per cent to 35.04 per cent from the prices claimed by the respective companies. Image: NPPA revised prices four bulk drugs. Revision cases included more than 25 cases of anti-TB drugs for which there was no significant increase while sulphadoxine + pyrimethamine tablets will cost more due to upward revision in the import price of bulk drugs used for malaria. The prices of certain drugs used for asthma and hypertension have been reduced, NPPA added. The NPPA was established on August 29, 1997 as an independent body of experts with the task of fixing and revising drug prices, both bulk drugs and formulations, to enforce prices and availability of drugs in the country. Image: Drugs for asthma and hypertension to cost less.